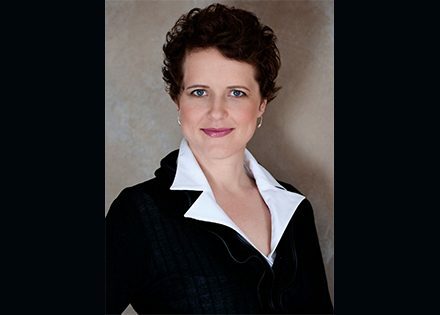 Emma Dunch is the CEO of the Sydney Symphony Orchestra. During her 20-year cultural management career, Emma has partnered with more than 125 creative organisations in the United States, the U.K., and Australia, and served in leadership capacities across every artistic discipline. Ahead of Make Music Day on 21 June we spoke to Emma about the Sydney Symphony Orchestra’s plans for the day. Can you tell us what excites you about Make Music Day? Music is a universal language and through regional and international touring, the Sydney Symphony Orchestra has always been passionate about removing barriers to music and making it accessible to everyone. Make Music Day is an exciting day for music lovers across the globe to come together and celebrate music. The day will be made even more special this year with the Sydney Symphony Orchestra’s livestream of Verdi’s Requiem, as this will be the flagship event in Australia’s first participation in the worldwide festivities. What inspired you to include the Sydney Symphony Orchestra in Make Music Day 2018? Leading Australia’s first flagship event in the Make Music Day celebrations was a natural fit. The Sydney Symphony Orchestra is passionate about removing barriers to music and ensuring that everyone has access to it – this is at the core of everything that we do. Being able to share our music through technology with people all around the world, and on this special day when the international music community comes together to celebrate music, made perfect sense. We’re proud to represent Australian talent on an international platform. Who are some of the partners you have on board this year? With the support of Create NSW, ABC Classic FM, Sydney Opera House Creative Learning, Music Australia, the Australian Music Association, the State Library of New South Wales, who will be sharing the broadcast in regional libraries across New South Wales, and Parramatta Council, who will broadcast the concert at Sydney Olympic Park, the livestream will be the flagship event in Australia’s first participation in the worldwide music festivities. What are the ways that audiences can connect with Sydney Symphony Orchestra on the day? There are a number of ways that people can join us in celebrating music on Make Music Day. A livestream direct from the Sydney Opera House will be accessible via sydneysymphony.com on Thursday 21 June, 6.30pm AEST, free of charge. The footage will be available for 24 hours following the conclusion of the livestream. It will also broadcast at the Sydney Olympic Park and in libraries across regional New South Wales including Armidale, Cessnock, Canowindra, Maitland, Parkes, Tamworth, Taree, Tumut, Wagga Wagga and more. Regional Conservatoriums across NSW will also broadcast the livestream. Tune into the livestream at sydneysymphony.com on Thursday 21 June from 6.30pm AEST.